I start sending data from the sensor continously. The program works without any problem for 3,4 minutes, after this time the MCU does not respond to any command sent through bluetooth and it stops sending data. The MCU does not restart only hangs-up. What is interesting is that no interrupt works anymore ( ex: an interrupt is generated when the phone is connected to the bluetooth module). The program is made as a state machine, the MCU is able to switch to the other state. For example I have 2 states ACTIVE and SLEEP, if no BLE connection is up for 1 minute it enters in sleep mode. After hanging up the MCU enters sleep mode but no interrupt can wake him up anymore. Usually when it is working as soon as I connect the phone to the module, it exits sleep mode. We're going to need to see code, schematics and preferably the smallest cut down code that still exhibits the same fault. In preparing the latter you will likely find the issue anyway! If the code is modular and each module has unit tests then the points of failure should already be identified anyway. Are you certain that the BT is still working? WHat if you take BT out, and just use a wired connection? Again, how have you verified that it's not the BT module that's stopped generating interrupts? So instrument the state machine to allow you to see what state it's in. Usually when it is working as soon as I connect the phone to the module, it exits sleep mode. You need to take a methodical approach to find where the problem occurs - this is the essnce of debugging. I am reading the incoming signal from the bluetooth with a serial converter. The bluetooth is connected through UART to the MCU. On the Rx pin of the MCU I have also the RX of the serial converter and I receive the text sent from the phone. Yes it is , before the MCU hangs up I can check if the interrupt is generated. Also the bluetooth has a led for connection. I am using a led for this issue and I see when the state changes, and it is able to do this . I said usually by mistake, every time I connect the phone , before this error occurs , it works. I was thinking that this is the next step, but I am not able to post any code or any schematic here. I am trying to find some clues where to find. I am also thinking at some memory corruption. Is it anyway to check the memory state, or the memory usage time to time. I am thinking at some pointers badly mannered, or some stack overflows, but I am not sure. I lost a lot of time trying to identify the problem. Also if anyone want to see the code, we can use some remote control programs. two things come to mind, for projects that work for awhile then suddenly stop working. Stack overflow, corrupting memory, can you place "guard bytes" below the stack to track how deep it goes before the problem happens? or improper sleep mode setup, i.e. no wake up source setup before going to sleep mode. For the first one, can you substitute a larger family member part, i.e. tiny85 instead of tiny25, mega 328 instead of mega 48, etc.... so you have more head room to work with? ..... ok, scratch that, I see your using a large member part already! It may not be your problem but the 1284P is known for having problems when using an external crystal and running the oscillator not in full swing mode. Especially when using the USART. I don`t know how to put such guard bytes, if you can tell me, it would be perfect. I am using the oscillator in full swing mode . I have a crystal attached to xtal1 and xtal 2. For Stack checking, One of the GCC freaks will need to guide you on how to do it with that toolchain. I need to mention that I do not have access to debug. I am programming through ISP. Then test for a change in your main() loop and light an LED (or provide some indication) when detected. I am doing the led thing already , but as I said, I cannot obtain some specific clues. I will try this right now. Is the error mode reproducible? i.e. Will it always crash after 3 - 4 minutes? Will it crash if it just sits still for 4 minutes without the BT connection going active? Does increasing the number of BT connection / disconnection episodes shorten the time to crash? How do you in your programming language set the stack? If the crash is reproducible, can you simply significantly increase your stack sizes and see if that changes the crash behavior? Now while I was testing I see that the device does not respond anymore. The state hangs in sending data state and also does not respond to any command. What I tested today was if the amount of data corrupts the MCU. I tried to send a bigger quantity of data over serial, by decreasing the delays used. My states had delays to decrease the speed of data transmission. I removed all the delays and the MCU hangs at the same amount of time it hanged before. I downloaded the files included in my project and called only the function StackCount. I receive value 0 no matter what I do , even if I call the function right after port initialization, without calling any function. What am I doing wrong? Did you add the StackPaint to your program (in the .init1 section)? Now , the MCU is restarting continuously, after the same amount of time. I think I could time the restarts perioad :))). It is like a counter did this stupid thing. I really don`t know how to solve this. I am checking the MCUSR register. No watchdog reset is there. I am trying to implement the stackCount , but I had no success so far. I don`t know how to do it. The Mcu restarts around 7 minutes. It happened to restart exactly at 7 minutes. What does mcusr say >>is<< the restart cause? It may be time to go get yourself a debugger. In lieu if that, you could insert some code into .init0 which could test mcusr and send captured state to the usart in the event it traps a restart with no cause. [not having a debugger is] like a mechanic not having any spanners. It does not show any restart source. The problem is that i designed the whole program for not having debugger. On the pins that a debugger is connected i have other things. The problem is that i designed the whole program for not having debugger. On the pins that a debugger is connected i have other things. Seems like you've painted yourself into a corner. insert some code into .init0 which could test mcusr and send captured state to the usart in the event it traps a restart with no cause. ... or some other interface in lieu of the usart. Ask if you need help with that. On the pins that a debugger is connected i have other things. So not only do you have no spanners yourself, but you've also ensured that spanners cannot be used at all! What should I do to track the problem. If you're fortunate a lint would identify the actualized defect. Otherwise, sprinkle the source code with asserts. If you have data or information or intuition that there's a probable/likely stack overflow then the assert will test for SP in the stack guard region. Could create an application-specific assert macro to do what you want like write a byte in .noinit that's specific to that instance of assert or write that byte to a spare port to be captured by a logic analyzer. An alternative is a circular buffer in .noinit that contains "breadcrumbs"; this is akin to the in-RAM instruction trace buffer of AVR32 UC3 and ARM Cortex-M.
Another is, if there's a spare SPI or a spare port, to write a unique byte for a source code line; this is the instrumented trace of MPLAB X with REAL ICE's logic analyzer. While I was trying to make some debug I discovered something. I was in debug mode, on pause. Even If I was pausing at a instruction the MCU restarted itself and the code was reexecuted. Even If I was pausing at a instruction the MCU restarted itself and the code was reexecuted. IIRC, there's a debugger configuration during break to disable ISRs and/or timers. Otherwise, an oscillating Vdd could trigger BOD or the reset signal is inadvertently active. This is another photo of the stack pointer and it seems to keep its value. How can I see who is the entity which writes that portion. For me it does not look so good, I think i know the function that writes that part of memory. I've not read the whole thread but if you have rogue writes why can't you use a data breakpoint to catch the culprit? Long time since I wrote here. I still was not able to find the problem. Due to the fact I cannot post the code here, I will try to rename the functions, so i can post it, and maybe someone sees the leak I am not able to see. I will try to explain what happens. In the second state the MCU works without anyproblem. It is running without any restart for a log time. When I am keeping the MCU in the second state , with the Connexion flag TRUE in order not to change its state, after 3 and a half minutes it automatically restart. I added code which makes every restart report me what was the cause of restart. Apparently none of the restarts which can be tracked with MCUSR is there. The question is why ? :( Hope the code is understandable. Normally I would have sent the clear code , but i am not able to do this. Thank you very much. Your code is basically unreadable. Write simple code and your bugs tend to be simple as well. Also check every bit of data that comes from the outside - garbage in, garbage out. At a guess, what you've described is probably buffer overrun or stack overflow. Buffer overruns can be avoided with defensive programming. 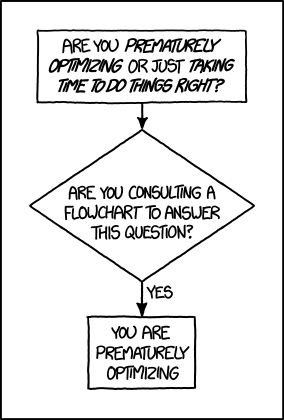 Stack overflow can be a little trickier. If you're using function pointers, a simple buffer overrun can cause very bizarre symptoms. This can be a compelling reason to avoid function pointers. In fact, MISRA outlawed them in their early revisions, but they've now relaxed that. 2. Review your code for points of danger - as I've mentioned, function pointers and buffer overrun. 3. flashing a led only gets you so far. Still, you can extract a lot of info using this technique. Implement different flash sequences. 4. Output diagnostics via the serial port. In order to minimise the impact, send single chars. 5. Put 'sentinels' in memory - these are specific values in specific addresses. If you have a buffer, size it so that it should never get full (!) and put a known value at the end. Write code to frequently check for that value. If it's not there, stop and flash an error code. In an embedded system, you usually know what values the function pointer should have - test for these - especially before calling the function! You start with a question - are my buffers overflowing, then test for this. If you prove your buffers aren't overflowing, then that's one less problem. Rinse and repeat. With some careful though and strategy, you hopefully can narrow down the problem field and eventually nasil the cause. Invariably, it is due to a code defect or something is happening that you didn't expect. "It can never happen!" - how many times have I heard this! Even declared it myself. One in a million happens a few times a second with microcontrollers. With experience, one learns how to avoid the simple bugs, but this leaves more complicated ones. Consider this when you write your code ask yourself "how will I test this"? Also remember the analogy of a train wreck. You know where the wreck ended, but the cause is up the track. Yes - they are the key requirements to effective debugging! The secret of debugging is to make the invisible, visible. Not having a debugger is like tying at least one of your hands behind your back when trying to debug. Actually I tried with my dragon to debug. But it always restart and i don`t know how to catch it. I will do this as soon as i get home. And after that how can i track it backwards? then when CALLd that function has a strong chance of returning back to 0x0000 (can you see why?) and if it's something like this it can be a nightmare to catch how it got to 0. You could break at 0 and look at SP and see if the most recently popped value was 0x0000. If so it might have been a RET to 0. If you have some spare RAM, you can simulate that by writing some "trace" values and then examining in the debugger. Probably best to arrange it as a circular buffer. Is it possible to have those problems from the optimization level? Now I have the O1 . I will try also the others. I hope I will find this error. The main ideea is that I have two states with little differences. From my point of view those differences should work very good. If you catch the jump to 0, you can have a look at the SP and maybe get the return address from the stack. If not, you can use 'breadcrumbs' to hopefully narrow down the location. These are, again, specific values in specific locations. Basically, when you enter a function, set the breadcrumb variable to a given value. When you enter a different function, store a different value. This should allow you to narrow down the specific part of code where things go wrong. You can then put a breakpoint in that area and step through the code. Hopefully the problem becomes evident. If it's a function that gets called from many places, this complicates things a little. You may need to put in more breadcrumbs to narrow down to the line of code. You might even need to add some extra code to further narrow down the conditions of the failure. Generally, once you've determined the general area where the error occurs, you can evaluate the code and identify where it could possibly go wrong. Optimisation might change the observed problem, but the root cause remains. So while digging to find the error, every day, I found something. Yesterday while trying to replace parts of code, I found out that the MCU restarts if I don`t call for a function. I started digging in that function and it seems that if I declare a char array; in the function and I call it , my MCU does not reboot. I presume it is a bad pointer which leaks and this memory allocation stops the leakage. If anyone has other ideas I will listen them carefully. That's quite a lot of data to be putting on the stack! Or moves it somewhere which isn't so important (yet). I finally got it. It was a bad pointer exactly as most of you said. It seems that when I was allocating memory in function and initializing it with 0, I was able to stop the leakage.